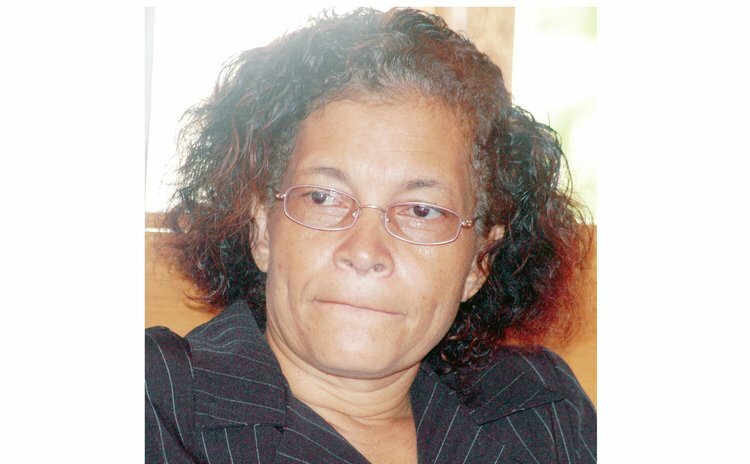 Nine months after hearing the appeal of former DBS general manager Mariette Warrington, the Eastern Caribbean Supreme Court (ECSC) sitting in Grenada on September 15, 2015 has handed down its judgement, upholding the decision of High Court Judge Brian Cottle and dismissing Warrington's appeal. At the high court, Judge Cottle ruled that Warrington's termination was not unlawful and in a counter sue from DBS Warrington was ordered to pay the radio station more than EC$60,000. Cottle ruled that the failure of the board to consult with the Prime Minister was fatal. The ECSC agreed with Justice Cottle in that regard. Warrington was General Manager at DBS for eight years and during that period she had two contracts, one for three years and the other for five years. The five-year contract ended on December 31st 2008. Near the end of the last contract Warrington indicated to the board that she wished to continue in the position. The board did not respond and order that she advertise the post. She applied but the board did not respond to her application. Nevertheless, as the DBS board searched for a general manager, Warrington continued performing her duties as general manager for 16 months and received the same salary and benefits as she did during her last contract. On 14 April, 2010 the board terminated Warrington's employment and paid her salary for April 2010. Consequently Warrington took the matter to court claiming damages for breach of agreement and wrongful dismissal. She argued that at the end of her last contract there was an implied contract and since Clause 6 of the 2004 contract required DBS to pay six months salaries and allowances in lieu of notice, Warrington sued DBS for $280,000. However, DBS counter sued claiming that Warrington owed DBS $70,553.39. Warrington admitted that the figure was actually $61,299.75 and Judge Brian Cottle, the High Court Judge, ordered Warrington to pay that amount. As far as the wrongful dismissal case was concerned, Judge Cottle dismissed the case and expressed the view that the Dominica Broadcasting Corporation Act gave the board no legal authority to appoint a manager. Cottle further determined that court should not imply that there was a contract between Warrington and DBS and, consequently, there was no issue of a breach of contract. So, Warrington appealed claiming that Judge Cottle failed to properly analyse the evidence which showed that there was an implied contract and that the board had failed to prove that the Prime Minister had not given his consent to her appointment. In her appeal, Warrington also argued that the Labour Contracts Act mandates that an employee cannot be employed without a contract. But the Eastern Caribbean Supreme ruled that the Labour Contracts Act was not applicable to that case and "cannot supersede the specific provisions of the Dominica Broadcasting Corporation Act." During the appeal, the judges of the ECSC told Warrington that the Act is "clear and unambiguous" that the Prime Minister shall be consulted for the post of manager. Warrington, they said, knew that the board was in favour of her appointment but she was also aware that the Prime Minister's advice had not been obtained. "In these circumstances, the conduct of the parties does not give rise to implying a fixed term contract as contended by the appellant. The effect of the failure of the respondent to get the advice of the Prime Minister meant that any agreement the respondent entered into for the appointment of a Manager would be void and unenforceable. The appellant was therefore only entitled to be paid for the services rendered," the Judges said. The Dominica Broadcasting Corporation Act, they said, does not permit the Board to appoint a person of its own choice without first seeking the advice of the Prime Minister. "The onus was on the respondent to prove that the advice of the Prime Minister was not obtained. However, in view of the evidence that was before the learned judge, it was open to him to find that on a balance of probabilities, the Prime Minister had not given advice to the respondent on the appointment of a Manager," the ECSC judges said. David Bruney and Cara Shillingford represented Mariette Warrington in the appeal case while Alick Lawrence SC and Rose-Ann Charles represented DBS radio and the Attorney General.